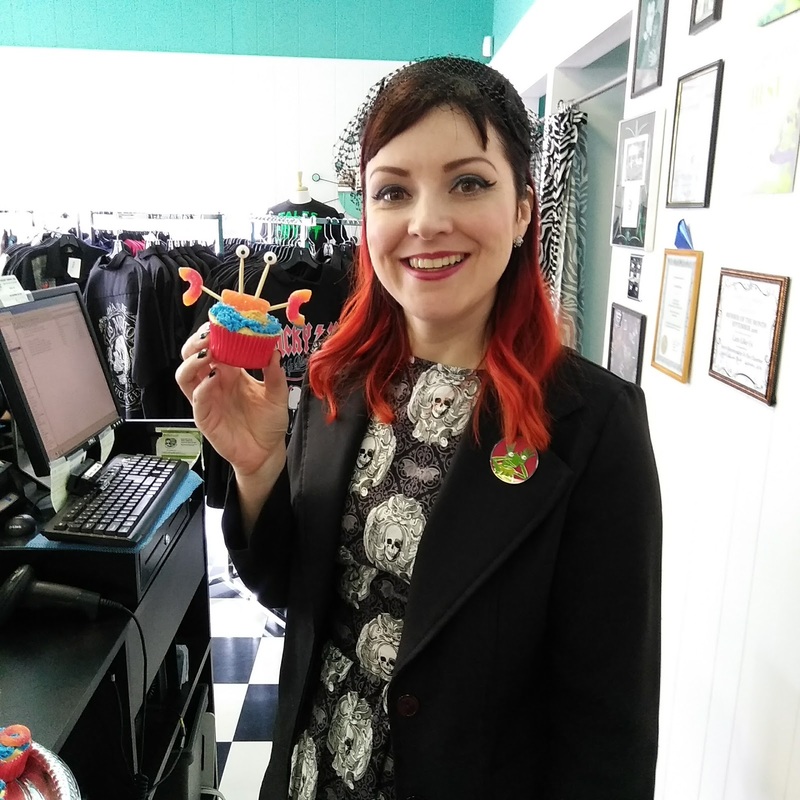 Last month was my birthday and the only thing I wanted was a certain pin from Creepy Co. and a dress from Dear Yesterdays. I try to keep things simple. Lol. I saw the pin and had to have it! It's called the Pale Muppet Enamel Pin and combines Kermit the Frog with the Pale Man from Pan's Labyrinth. It's the weirdest mashup I've seen in a long time and I'm a fan of both. I think Kermit's frog eyes on his hand are hilarious. My husband surprised me with this pin and I couldn't be happier! The quality is great. In addition to fun pins, patches, stickers, and Ts, they carry Vincent Price and Beistle Vintage Halloween items. I'm looking forward to see what else they will have for Halloween. Here's me at work wearing the pin on my Bday with a Crabby Cupcake. 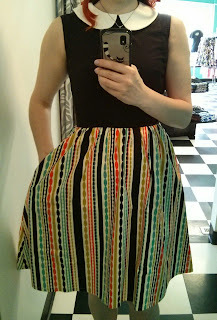 The other thing I really wanted was a dress from Dear Yesterdays. 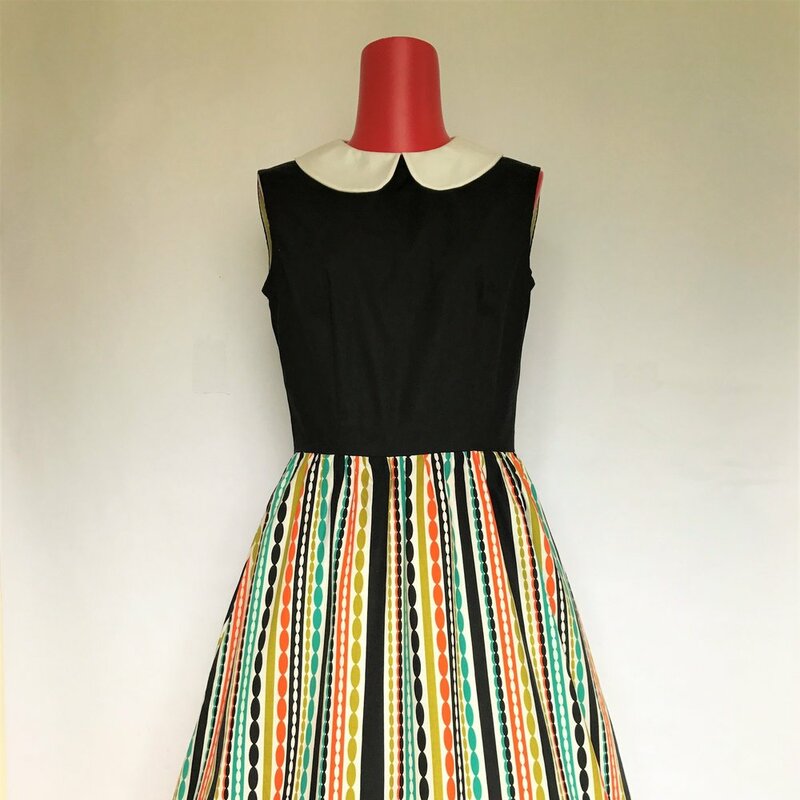 They are a company run by Jessica out of nearby Syracuse, NY and she makes custom size dresses in vintage styles along with bags, aprons and pot holders. 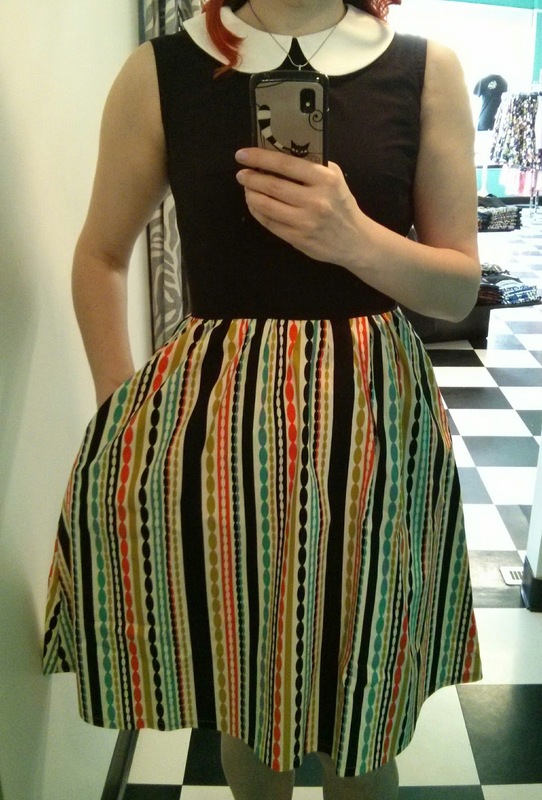 I saw this Mod Stripe Jane Dress on instagram and needed to find out if she could make it in my size. 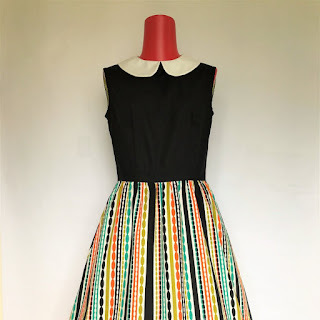 I love the colors in the striped skirt portion ~ it reminds me of Halloween ~ and the classic Peter Pan collar. Did I mention it has pockets?! She made it from my measurements and it fits like a glove. 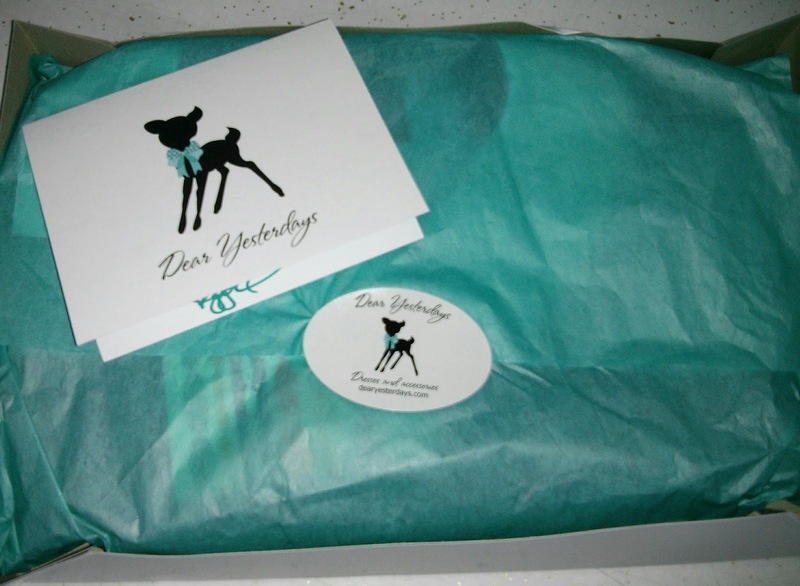 Dear Yesterdays quality and packaging goes above and beyond. I highly recommend her. Yep, I ordered my own birthday present. Excuse the crappy photo, I just took it out of the wrapper and tried it on. I'll take a better one soon. I just thought I'd share some of my current favorites. Thanks for reading! 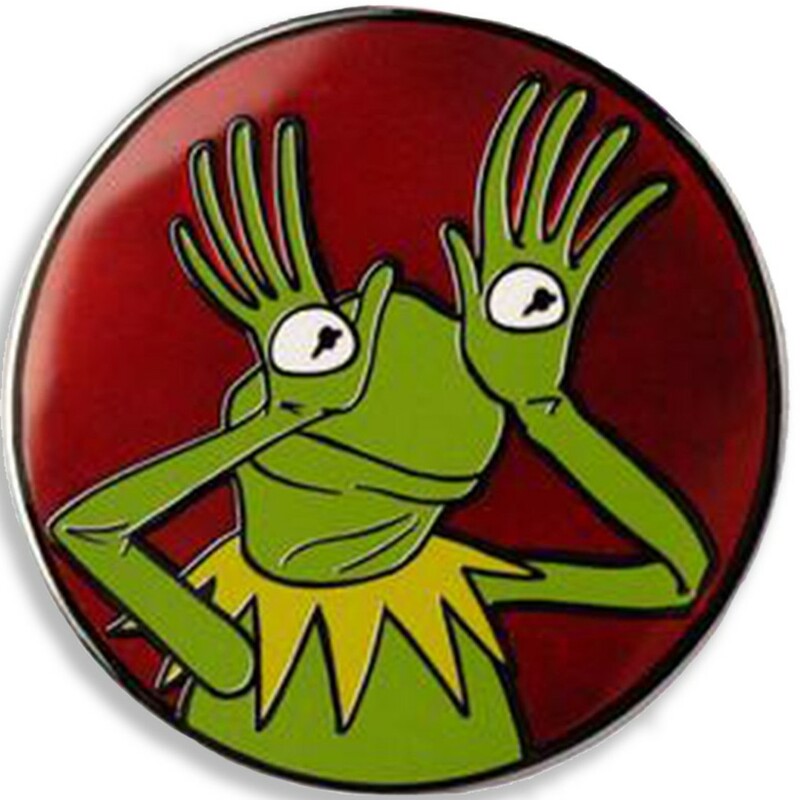 I love the Kermit Pan's Labyrinth pin! The dress is fabulous too! Thanks! Creepy Co and Dear Yesterdays are awesome companies. I can't recommend them enough.